Manhattan Beach, Los Angeles County California – Car and Bicycle Accident Lawyers with Over 40 Years of Experience and Success Rate of Better Than 95% in Winning Catastrophic Car & Bicycle Injury Accidents and Wrongful Death Accident Cases! Manhattan Beach, Los Angeles California car and bicycle accidents can cause devastating injuries, sometimes even fatalities with wrongful death injury accident claims. Our injury lawyers understand this and genuinely care and want to help you. Don't try to deal with insurance companies on your own. We are on your side! Manhattan Beach and Los Angeles car, auto & bicycle accidents cause serious injuries, substantial property loss, and sometimes even wrongful death. Our Manhattan Beach wrongful death, car accident personal injury claims lawyer have a success rate of better than 95% in resolving thousands of personal injury and wrongful death accident cases in Manhattan Beach, Hermosa Beach, Redondo Beach, Venice, Santa Monica, Marina del Rey, Los Angeles and throughout California. 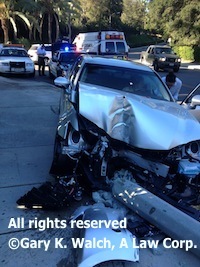 Having more than 40 years of intense experience and expertise in handling and settling thousands of car accident, truck accident, motorcycle accident and bicycle accident claims, we are a very established and known law office of accident claim lawyers offering our legal services for Manhattan Beach, Hermosa Beach, Redondo Beach, Venice, Santa Monica, Marina del Rey, Los Angeles and throughout California. Our well qualified and skillful car & bicycle accident injury lawyers know how to handle car accident and bicycle accident cases, from getting damaged cars & bicycles moved or towed and repaired to total loss property damage claims resolved to instant medical care without payment due until your case is resolved, to maximum settlements while providing clear legal advice and explanations of the claims process all along the way. To see what other say about our law corporation, please see our testimonial section. There are many time rules (including the California statute of limitations) and procedural rules (e.g., in car & motorcycle insurance policies, the California DMV, etc.) so please do not wait and lose your rights. Too often potential clients contact us AFTER the California statute of limitations has passed and there is nothing anyone can do to help them. Please do NOT let that happen to you – Please contact us now at 818-222-3400 or 1.866 INJURY 2 (after hours just dial “1”) for your FREE & CONFIDENTIAL consultation and case evaluation. Manhattan Beach and its nearby Beach Cities, especially on the Strand by the Pacific Ocean, is usually filled with bike riders, roller bladders and pedestrians. With so much traffic going on, this can be the recipe for a disastrous collision with serious injuries. Our Manhattan Beach, Hermosa Beach, Redondo Beach, Venice, Santa Monica, Marina del Rey and Los Angeles car accident & bicycle accident personal injury & wrongful death accident lawyers are understanding and sympathetic towards our clients, yet extremely aggressive against the responsible parties and their insurance companies. Medical Care: Serious injury and wrongful death car & bicycle accidents in Manhattan Beach, Hermosa Beach, Redondo Beach, Marina del Rey, Los Angeles and all around California often leave victims dealing with serious injuries that require timely care, physical therapy, and medical treatment. The accident lawyers for Manhattan Beach and throughout all of Los Angeles help our clients obtain medical care, including doctors, specialists such as orthopedic and plastic surgeons, neurologists, dentists, and psychologists, usually without any payment due until the claim is resolved. Moreover, clients can receive help with medications, X-Rays, including MRI and CT scans, again usually with no payment due until their claim is resolved. Vehicle Repairs: Manhattan Beach car, truck, bicycle & motorcycle collision accidents can cause major damages to cars, trucks, bicycles and motorcycles. Our Manhattan Beach car accident lawyers and law offices help you with vehicle repair, storage, towing and if appropriate, total loss replacement and free car rentals and loaners. Transportation to Doctor: Our Manhattan Beach car & bicycle accident lawyers assist clients in finding doctors, arranging appointments and, whenever appropriate, arrange transportation for injured clients to and from the hospital, medical clinic and other doctor and physical therapy appointments. If you need any kind of help with transportation, just let us know. Cash Advances/Emergency Loans: Manhattan Beach car & bicycle accidents can reduce your finances especially with unexpected medical bills and added expenses to take care of at a time when you may miss work and suffer a loss of earnings and income. We understand this. Our experienced Manhattan Beach car & bicycle accident lawyers and law offices will assist you in receiving loans and advances to cover those additional expenses. How to Contact a Manhattan Beach Car Accident Injury & Wrongful Death Lawyer? If you have been involved in a Manhattan Beach, Hermosa Beach, Redondo Beach, Venice, Santa Monica, Marina del Rey or Los Angeles car or bicycle accident or any motor vehicle collision, call us right now for your FREE & CONFIDENTIAL car accident personal injury advice. You also may simply go to our contact us form and tell us about your car or bicycle accident case or any other injury accident case you had. You can also view our lawyer profiles to get to know more about our knowledgeable and well-qualified lawyers. Furthermore, learn about the formalities, procedures, and rules associated with personal injury and wrongful death claims by visiting our Car Injury Accident Web Site; and for more specific help about your particular car accident injury case just call us now at 818-222-3400 or 1.866 INJURY 2 (after hours just dial “1”) for your absolutely FREE & CONFIDENTIAL consultation on your car accident injury case. Remember, our car & bicycle accident injury lawyers offer FREE legal consultations and evaluations on Manhattan Beach, Hermosa Beach, Redondo Beach, Venice, Santa Monica, Marina del Rey and Los Angeles car & bicycle accident claims and take our clients’ cases with utmost concern and priority. Manhattan Beach Los Angeles County, CA pier and concrete bike path by the Pacific Ocean and famous and beautiful Strand. Usually occupied by many bike riders, roller bladders and pedestrians. The land in Manhattan Beach was formerly sand dunes. During the 1920s and 1930s, builders levelled uneven sandy sites and some excess sand was sold and shipped to Waikiki, Hawaii, to convert their reef and rock beach into a sandy beach. Manhattan Beach benefits from ocean breezes that provide clean air and summer temperatures that are 10 to 20 F cooler than the inland regions of Southern California. Many high profile individuals in the sports and entertainment industry live in Manhattan Beach due to its beautiful oceanfront desirability, top performing school district, and short commuting distance to Los Angeles. The city has a total area of 4.9 square miles. Manhattan Beach features 2.1 miles of ocean frontage. Manhattan Beach is a hotspot for beach volleyball and surfing. As mentioned, a majority of the land in Manhattan Beach was once exposed sand dunes which now lie beneath the city’s buildings and streets. Manhattan Beach is known for its clean, wide, sandy beaches that attracts over 3.8 million visitors annually. For over 50 years, the city of Manhattan Beach has hosted an annual Hometown Fair at Live Oak Park in downtown Manhattan Beach. Popular among community residents, the fair features fun food and drink, live music, games and booths to raise funds for local causes. As per the 2010 census, Manhattan Beach had a population of 35,135. The population density was 8,914.7 people per square mile. Residential prices in Manhattan Beach are among the highest in the state of California. Manhattan Beach is currently ranked as one of the best suburbs in Los Angeles Country for its high-earning and well educated residents. Manhattan Beach holds the ranking as the second most educated city in Los Angeles County and the fifth most educated city in the state of California. Manhattan Beach top performing school district is currently ranked as the third best in the state of California and Forbes Magazine ranked the city’s school district, Manhattan Beach Unified School District (MBUSD), as the sixth (6th) best school district in the United States. 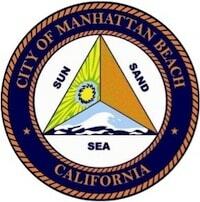 Public education in Manhattan Beach is provided by the previously mentioned Manhattan Beach Unified School District (MBUSD), which oversees five (5) elementary schools and one high school. Private schools located in Manhattan Beach include American Martyrs Catholic School, Manhattan Academy, Montessori School of Manhattan Beach and Journey of Faith Christian School. Sepulveda Blvd. 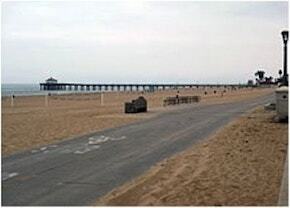 is the main north south road through Manhattan Beach and is the site of many injury collision accidents. Other key roads are Manhattan Beach Blvd., Rosecrans Avenue and Aviation Blvd. which some use to travel to and from Los Angeles Worldwide Airport (LAX). 40 years experience and continuing membership with California State Bar. Served Los Angeles Superior Court in the capacity of Arbitrator. Served as Chairperson of the Civil Litigation-Tort Section of Westwood Bar Association in nearby West Los Angeles. For an easy, free and confidential consultation, fill-in the details in our contact us form to let us know about your Manhattan Beach or other California car accident claim or any other injury claim.